Our selection of patient care products help to improve the therapeutic experience by providing affordable aids for therapy patients. With products like the Theracane and the pedal exerciser, patients can build on the results of their therapy session in their own homes. 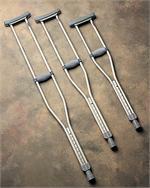 Aluminum crutches are an essential tool for many patients with a lower body injury. Providing greater stability in a lighter frame than their wooden counterparts, our aluminum crutches are easily adjusted for variation in patient height. Pain management professionals, chiropractors, and physical therapists all recommend the Theracane as a self-massage tool that patients love. Applying pressure to sore muscles and trigger points, the Theracane provides relief with a minimal amount of effort. Our Stabilizer pressure biofeedback machine alerts patients when their abdominal muscles are not protecting their spine properly. 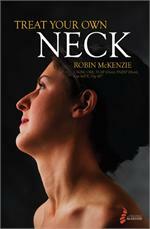 This biofeedback machine also provides feedback to the patient on their posture. 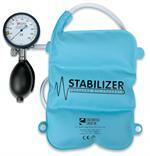 The standard pedal exerciser is a simple, affordable lower and upper body ergometer. 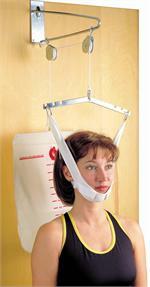 Find these helpful patient care items and more at e-current.com.